What are Manholes and What Purpose Do They Serve? We see them every day. We walk around them, sometimes over them. Kids will jump on them until another kid, or adult, hints it may crash in with them on it. But have you ever wondered what they are and why they exist? Manholes are chambers made of masonry or RCC that are constructed at intervals along the route of sewer lines. They provide access to the sewer lines and other underground areas. Manholes are used to perform inspections, clean and remove any obstruction that is blocking sewer lines. A manhole joins sewers together and/or changes the direction a sewer flows. Gasses are able to escape through a manhole, allowing the sewage to ventilate. They also aid the laying sewer lines in convenient lengths. Manholes are provided when a change is made in the alignment, grade, or size of a sewer line. A manhole is installed when there are multiple junctions of sewers. A manhole is installed at regular intervals to provide a straight alignment of sewers. The diameter of a manhole will vary from 90m to 150m. It is provided at a shallow depth of 75cm to 90cm and is placed at the first branch of a sewer, usually in a low traffic area. A light-weight cover is placed over it that can be removed from inspection purpose. This size of the manhole is placed along sewer lines usually 150cm deep. They have a heavier, rectangle or square cover placed over them because of they typically in a heavy traffic area. A deep manhole is placed deeper than 150cm and covered with a heavy top. The size increases gradually, allowing entry for deeper inspections if needed. 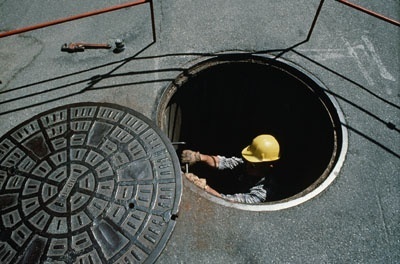 Manholes are normally found in urban areas either under sidewalks or in the streets. They are used for cable chambers, maintenance, and inspections, as a utility hole, and most commonly for sewer holes. They provide access points where the connection of sewer, water, and utilities are needed. They allow valve adjustments and provide housing for underground services such as electricity, gas, storm drains, telephone wires, and water. 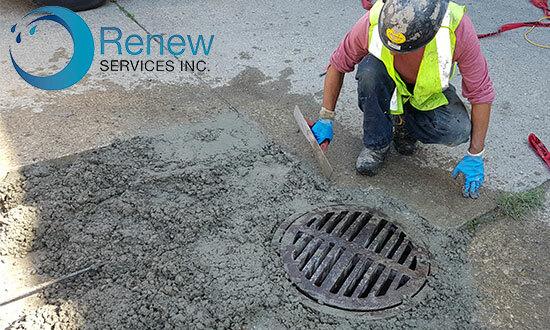 Renew Services Inc. in Edmonton is your go to company for manhole rebuilding and new installation and repair. 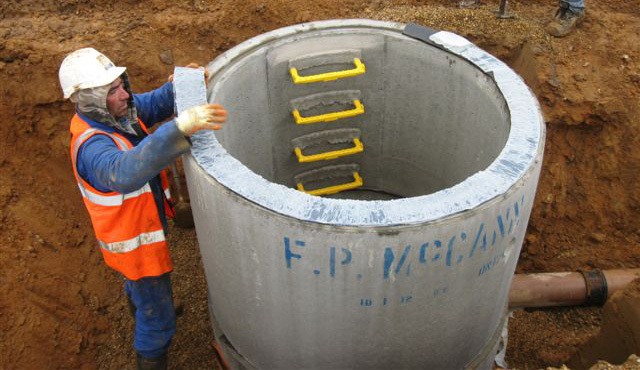 Contact us today regarding your manhole project.